Kai Hong is a management trainer, behaviour coach and business consultant based in Singapore. He has also worked in China, Korea, Japan, Vietnam, Thailand, Philippines, Malaysia, Indonesia and Australia. Throughout his 30 year career, he has helped and inspired many entrepreneurs, CEOs, HR Directors and other senior managers, government officials, educational and community leaders, teachers and students to achieve their potential. As a coach, Kai Hong works with clients in areas of behaviour management, performance enhancement, change management and workplace engagement. Kai Hong’ s reputational strength is built upon his highly interactive style, which is recognised as one that embeds learning and produces immediate performance gain. 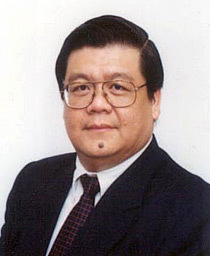 Kai Hong is currently an adjunct faculty of the UK’s University of Stirling (MBA in Retailing) and Singapore’s National Institute of Education.